Chrysler 300 limo is perfect for a smooth and private ride. 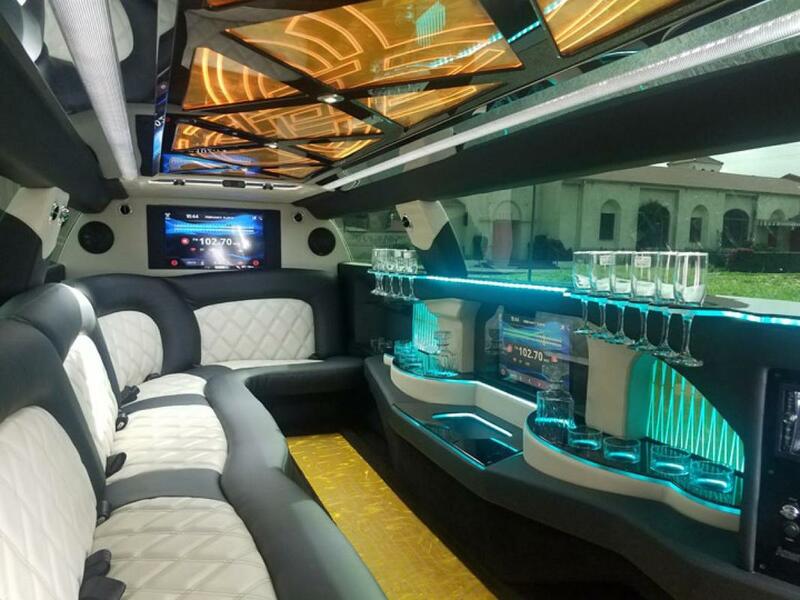 Neon, strobe, laser and static lights go perfectly with fiber optic mirrors and flat-screen TV, all that makes this limo state of the art for all your needs. And the best part is a full stuck bar with crystal glasses and ice. ​Call today and book your ride. For this Chrysler 300 or any other limo complete the form above for limo in Bethesda or Rockville, or contact us at 301-825-8833.